Georgi Ivanovich Gurdjieff was a Greek-Armenian mystic who was active in the early 20th century. He was widely known as a spiritual teacher, who organized various schools to teach his methods in Europe, most notably in Fontainebleau, France, where he welcomed pupils from around the world. Thomas de Hartmann was a classmate of Prokofiev (you can understand my excitement now!) and an excellent composer in his own right. In these collaborations, he notated music that Gurdjieff performed, adding harmony and structure. Through an iterative process, the pair produced a number of collections of works, inspired both by Middle Eastern, Asian and Western musical traditions. I wanted to juxtapose selections from the Middle Eastern and the Western music, in order to better appreciate their differences and their similarities. The challenge of this program comes from my desire to recapture the Middle Eastern origins of the Music for Dervishes through the use of traditional scales – Bayaty, Esfahan, Hijaz, etc. The harmonious feeling of perfect fifths, and the bending pitches of seemingly improvised scales produce a much deeper emotional effect in these tunings. 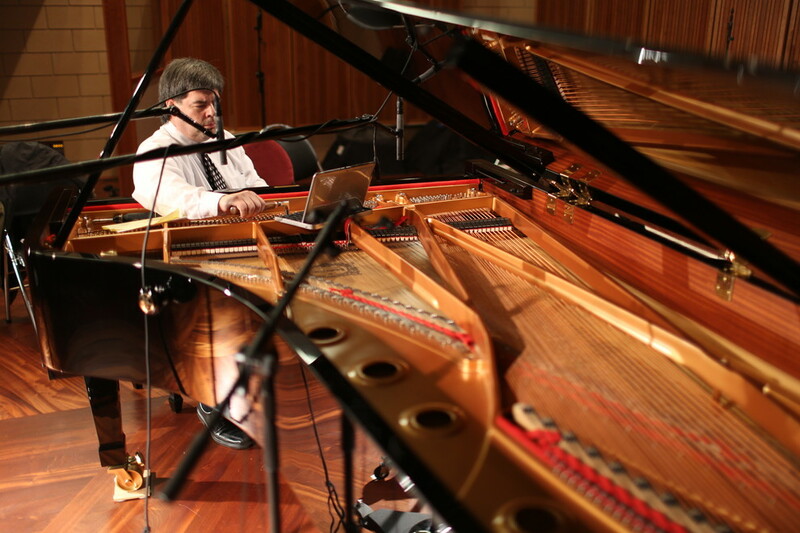 In preparation for this recording, I consulted with experts on Middle Eastern music and on micro-tuning the piano, producing a number of different scales for different pieces. In all, 5 separate tunings are used in 5 different keys. The overall effect I’m looking for is a large-scale breathing. The unusual tunings of the Middle East alternating with the even-tempered Western scale creates an intensifying inhale, followed by a relaxing exhale, over and over. In my live performance, I was able to approximate this effect through the use of electronic keyboards to execute the different tunings in real time. The only other way to perform this music would be to have 8 different pianos on stage, each one tuned differently! 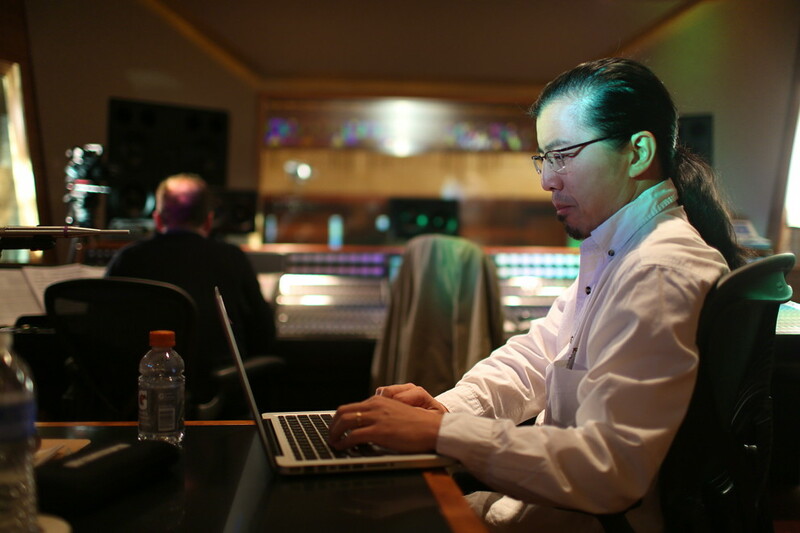 However, it is only through a recording that the depth and uniqueness of the program can be fully realized. I’ve imagined each piece with a specific tuning, and consulted with experts in micro-tunings and traditional Middle Eastern music to create these scales that bring out hypnotic, haunting qualities in the music. 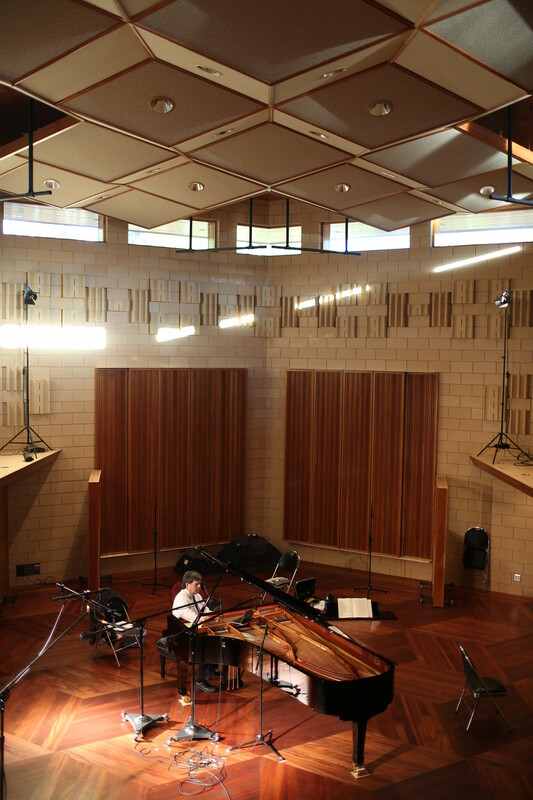 During the recording session, the piano’s tuning will be constantly adjusted in order to bring out these elements, then the music seamlessly integrated together in the editing process. It also turns out that one cannot properly tune a piano except in the room in which it is played. Indeed, as we learned working with Marc Wienert for the Zenph sessions, even the piano’s position within a room affects how the piano should be voiced and tuned, because every distance to every boundary is part of the overall harmonic equation, as is the subsequent reflection, diffusion, and absorption of that boundary across the entire frequency spectrum. Almost all pianos are given some amount of stretched tuning (which can be as much as +/- 35 cents) from the lowest note to the highest, but the right amount is really a function of the piano, the room, and the artists intentions. Which implies that if the goal of the artist is to fully express and capture the most subtle harmonic relationships across a range of possible tunings, the room must be exceptionally well balanced and controlled across the entire frequency range. And perhaps because of that requirement, Frederic reached out to us, thereby creating some new coincidences. And so we now see the coincidences coinciding: the compositions of Gurdjieff and de Hartmann being performed in a space so true to the ideals of Frank Lloyd Wright that the designer was invited by Wright’s disciples to teach how to integrate architecture and acoustics. And this was made possible by the economics of open source on the one hand, and crowd-sourcing on the other. The Ustream video (now on YouTube) does not attempt to capture the audio quality that will be the final product. If Frederic can wait 12 years to find the right studio for recording this project, hopefully you can wait a year for the CD to be properly mixed, mastered, and distributed. One thing is certain: we had a great time working with Frederic, and look forward to more happy coincidences in the future!